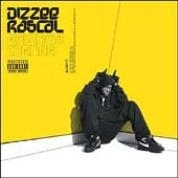 RapReviews.com Feature for March 2, 2004 - Dizzee Rascal's "Boy in Da Corner"
In few instances has a debuting artist boasted a handle that so starkly contradicts the content of his or her music. Generally speaking, there's usually a fair assumption to be deduced from an artist's name. Fans need not necessarily listen to Metallica to safely assume their music is, of course, heavy metal, or KRS-One (an acronym for Knowledge Reigns Supreme Over Nearly Everybody) to conclude that KRS will drop knowledge in his verses. However, Dizzee Rascal is the exception to this rule of thumb (a role in which he seems to thrive throughout much of this debut). While his name may bear a jovial, perhaps corny, implication, his impressive debut, "Boy In Da Corner," is anything but. Chump best to act like Forrest Gump, best to run"
As impressive as the single is, there are other tracks that stand out on "Boy In Da Corner," especially as exceptionally creative in terms of production. The ominous, orchestral stabs and string plucking on "2 Far," featuring fellow Brit Wiley, the heavy bells and chimes of "Brand New Day," and buoyant bass thumps of "I Luv U" all stand out as particularly strong examples of Dizzee's ability as a producer. While it's easy to overlook his inventive, widely-varying work behind the boards due to his infectious presence on the mic, it makes this debut that much more admirable. Perhaps "Jus' A Rascal," featuring some of the nicest guitar work on a hip hop track since OutKast's "B.O.B.," is the ironic understatement of the year—there's a lot more to this Rascal than just mischievous behavior and play-along tracks. The fuzzy, unapologetic sound on most of the tracks could lead one to conclude that Dizzee recorded this album in mono rather than stereo, an effective tactic exercised recently by rock acts like Billy Corgan's Zwan and The White Stripes, which offers a somewhat dated feel. This album contains as many surprises and demands our attention as any other in recent memory, so it's only fitting that Dizzee Rascal, who is grabbing listeners' ears everywhere with his energy and enthusiasm, also included the introspective (even poetic) tracks like "Jezebel" and "Do It!," which touch on a convoluted teenage love story, and the strife of everyday life, respectively. "Boy in Da Corner" falls short of perfection, however. A couple of tracks suffer from monotonous or downright poor beats like on "Round We Go" and "Hold Ya Mouf," featuring God's Gift," and much of the violent and rugged-street motifs are contrasted a bit too starkly by a general album sound that at times borders on overly electronic and too synthesized. But, ultimately, Dizzee Rascal's debut triumphs as a testament to the original and expressive principals upon which the best hip hop, and music in general, is predicated. While popular music is often times presented to us as readily accessible and digestible, Dizzee Rascal succeeds in simultaneously commanding our attention and ensuring that nothing comes too easily. So different is the majority of this material that to describe the production as a hybrid of vintage Bomb Squad, Rick Rubin-era Run D.M.C., and, dare I say, electronica-tinged RZA, probably won't help clarify the sound for most. Lyric transcribers will experience fits, and those who are quick to dispose of material that doesn't easily fit into a definitive or familiar genre probably won't get it—but that's likely what Dizzee Rascal was going for. His moniker might sound cute, but the pointer-finger devil horns which adorns his head on the cover art of "Boy In Da Corner" are the better indicator. Most fans will have to hear this one to believe it.